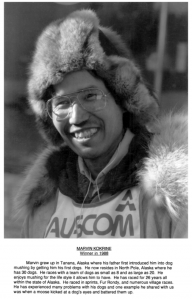 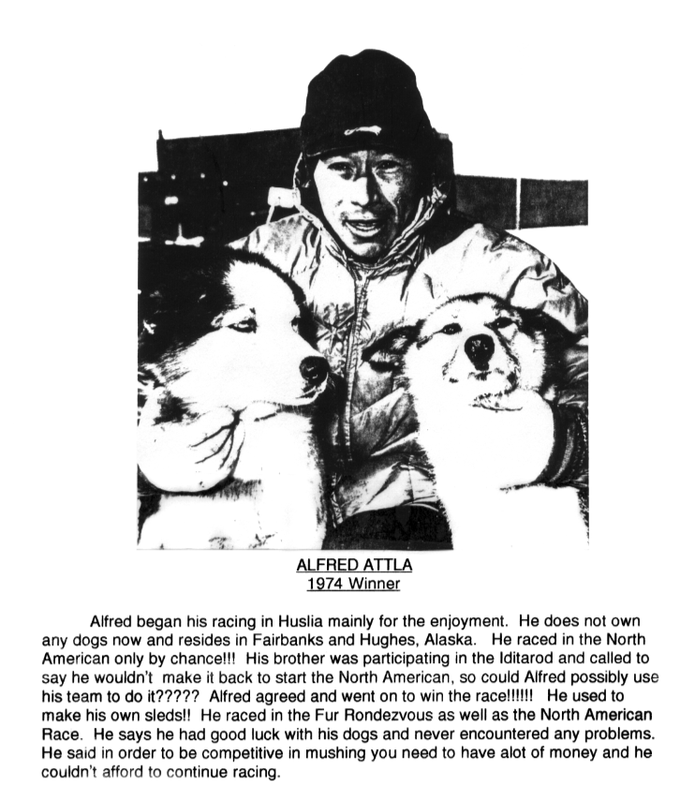 George Attla will never hesitate to tell you that there were many amazing dogmen who helped him over his long sled dog racing career. 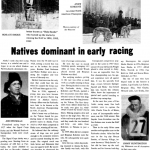 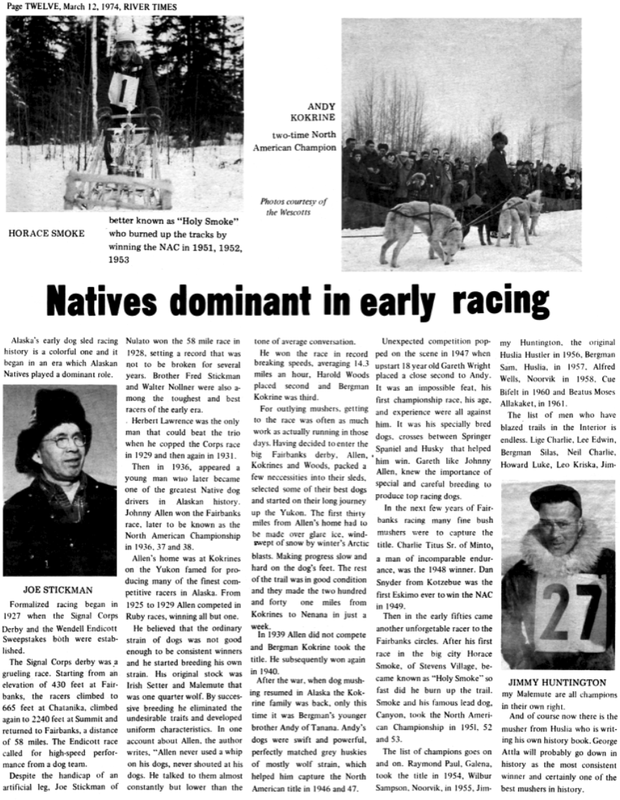 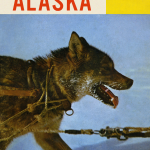 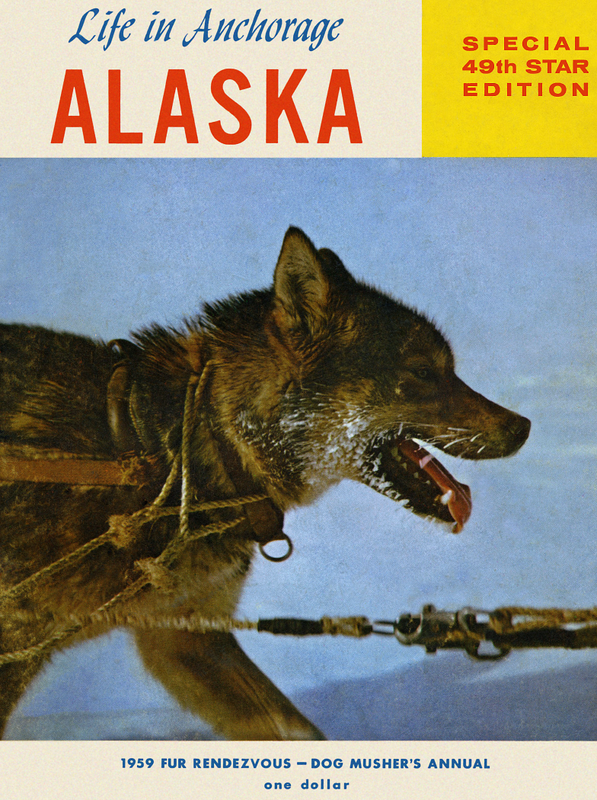 The stories that go along with these Native people are just as remarkable: from one old-timer who built a racing sled and delivered it on the day before George’s first Fur Rondy, to a trapper in a remote part of Alaska who gave George his two best dogs still in harness on the trap line, to many others who graciously gave George advice on dog care and training whenever he asked. 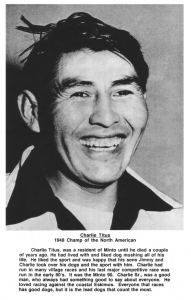 When you understand the huge support network George had throughout his life, you begin to understand part of the reason why he was so driven to be the best in the world. 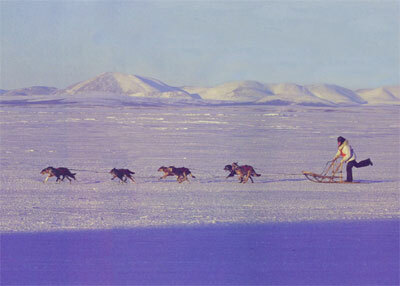 George also attributes his way with dogs as a special gift. 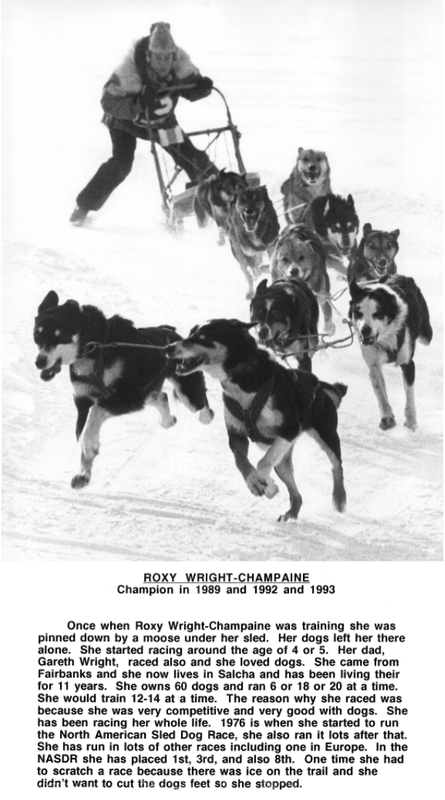 He explains it as a pride of the people, and it is this pride in his working with dogs and his sharing of knowledge that he hopes to pass on to others. 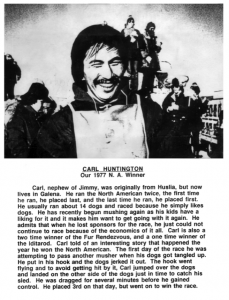 There are many old-timer dogmen who George wants to acknowledge. 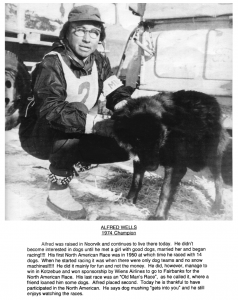 There is one dogwomenlisted who is his paternal grandmother. 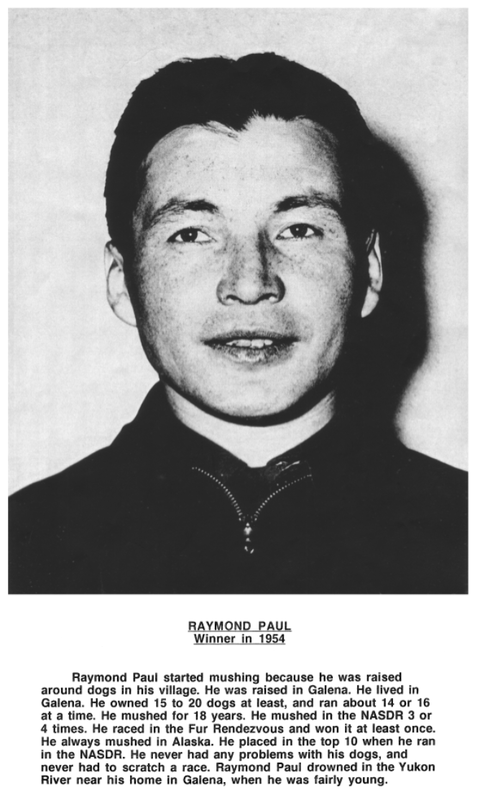 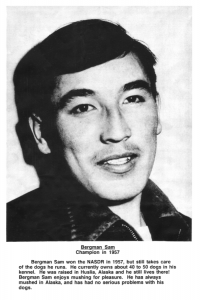 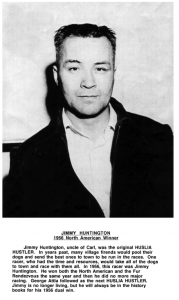 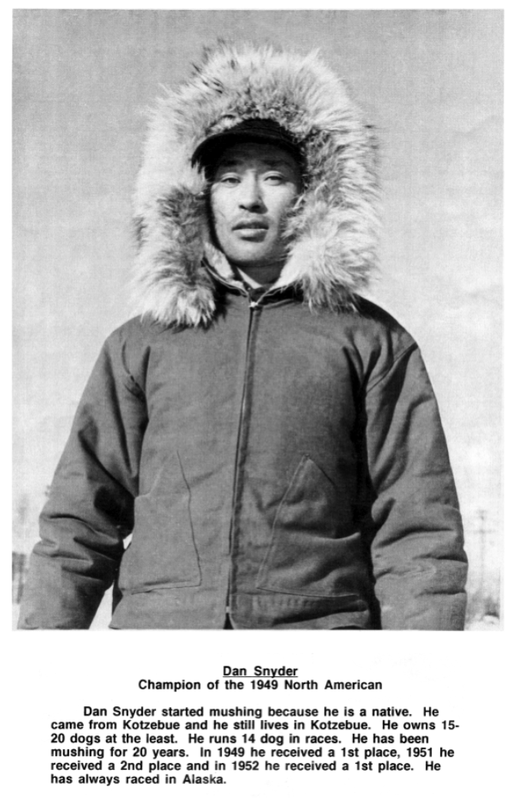 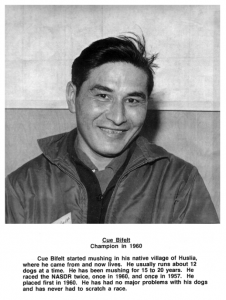 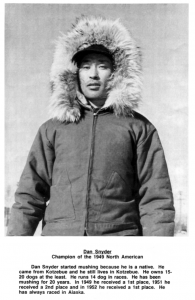 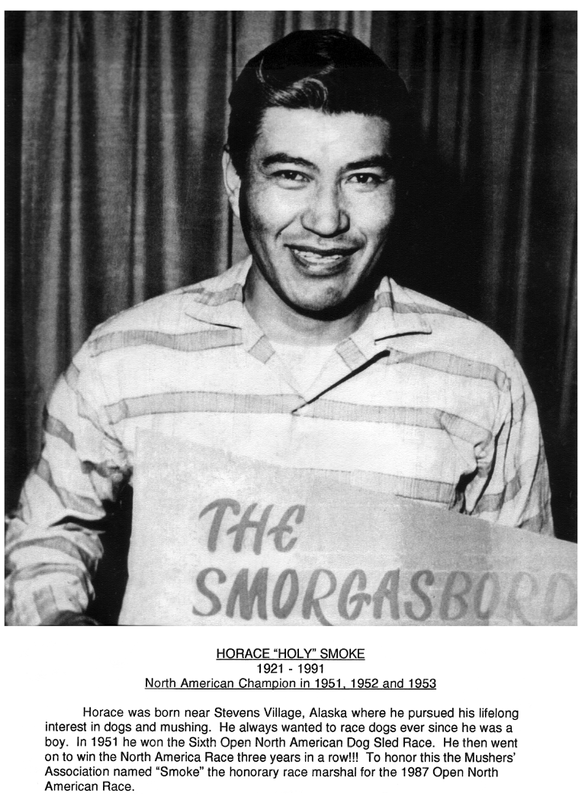 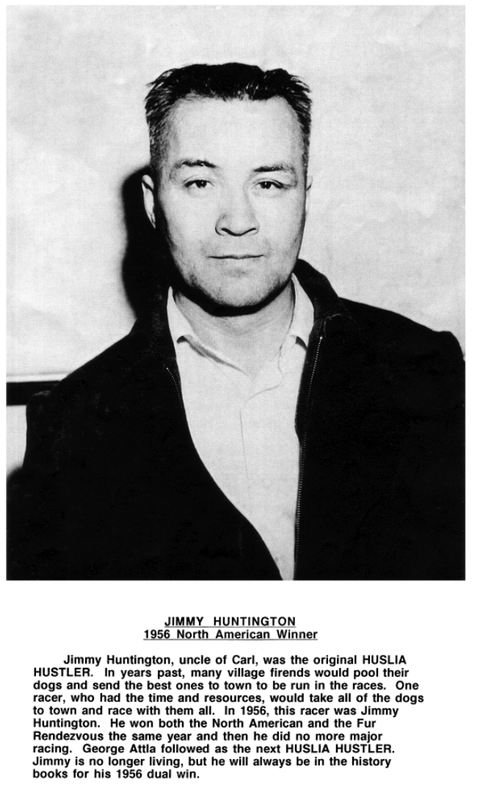 She was a well-respected dog medicine woman of the Koyukuk River area, and she lived with George and his immediate family when he was a little boy. George said he has probably left someone off this list by mistake, but will add names when he remembers them. 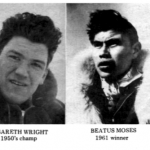 The names are listed in alphabetical order: Anna Attla, Alfred Attla, George Attla Sr., Steven Attla Sr., Henry Beatus, Cue Bifelt, Winkler Bifelt, David David Lester Erhart, George Frank, Jimmy Huntington, Sidney Huntington, Andy Kokrine, Henry Kokrine, Edmund Lord, Jimmy Malemute, Beatus Moses Sr., Pat Moore, Raymond Paul, Bergman Sam, Lester Sam, Lucian Sam, Henry Smoke, Horace Smoke, Bobby Vent, Bergman Sam, Lucin Sam, Charlie Stevens, Bobby Vent, Ed Vent, Freddy Vent, Warner Vent, Bill Williams, and Gareth Wright. 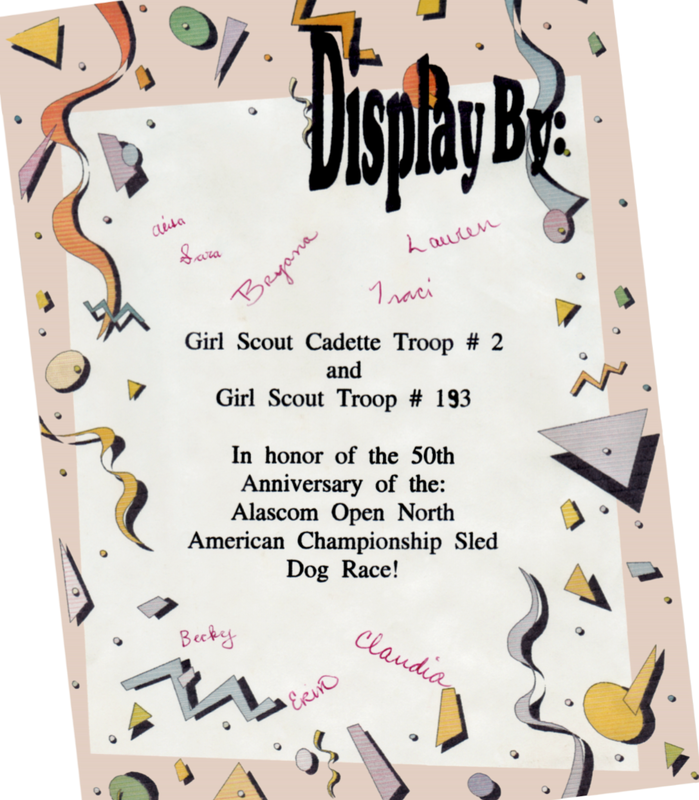 In honor of the 50th anniversary of the Open North American World Championship Sled Dog Race, in the spring of 1996 Girl Scout Cadette Troop #2 and Girl Scout Troop #193 of Fairbanks made a 6-panel display showcasing poster sheets about well-known Alaska Native mushers. 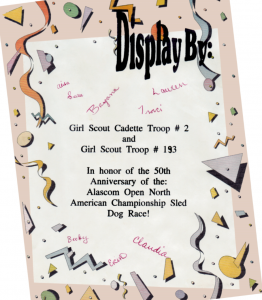 Eight girl scouts worked together to find a good photo and information about each sprint sled dog racer. 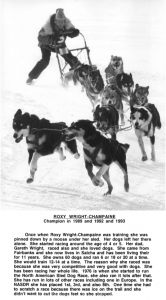 The original display can be seen at the Dog Mushing Museum, which is part of the Fairbanks Community Museum located on Cushman Street in downtown Fairbanks. In addition to sharing important historic information about Alaska Native mushers, the display also serves as a thank you to ALASCOM for their sponsorship of the world-class champion sprint race.